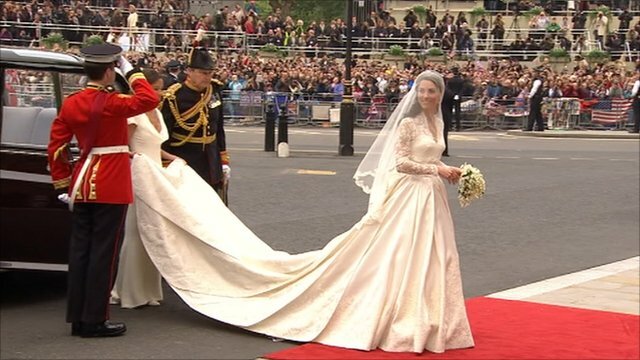 Royal bride's dress by Sarah Burton Jump to media player Royal bride Kate Middleton's wedding dress is an ivory gown with lace bodice designed by Sarah Burton of Alexander McQueen. 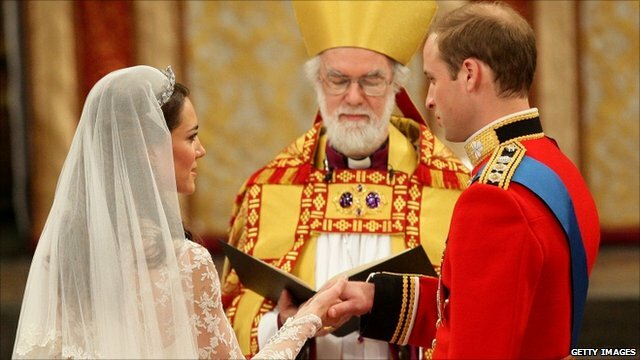 Royal wedding: The ceremony in full Jump to media player Prince William and Kate Middleton, now the Duchess of Cambridge, have been married at Westminster Abbey in London. 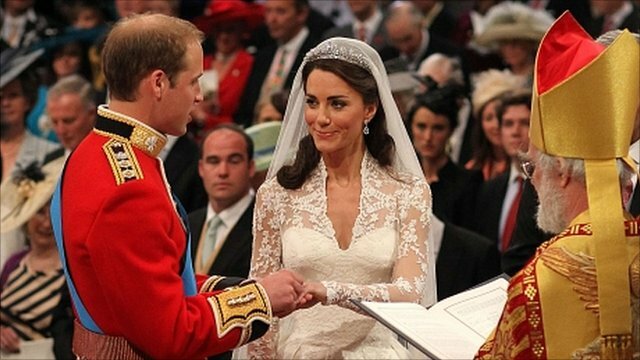 Kate arrives for her royal wedding Jump to media player Kate Middleton has arrived at Westminster Abbey for her marriage to Prince William. 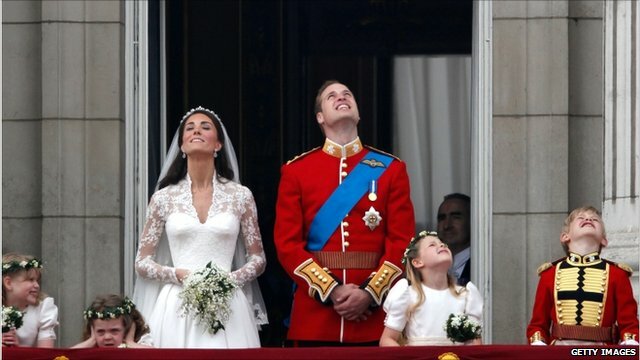 Kate and William share kiss on balcony Jump to media player Prince William and his bride Kate Middleton have appeared on the balcony of Buckingham Palace. 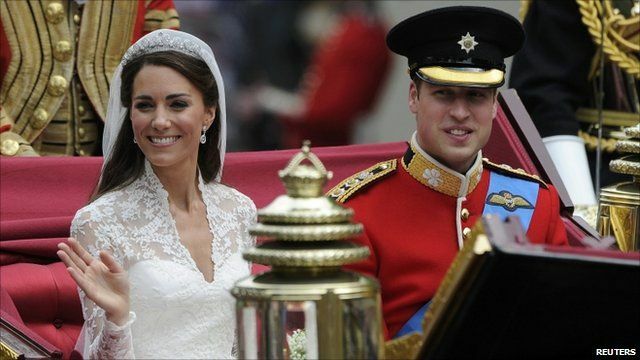 Prince William and his newly titled bride the Duchess of Cambridge have shared a kiss on the balcony of Buckingham Palace, as more than a million people descend on central London for the occasion. 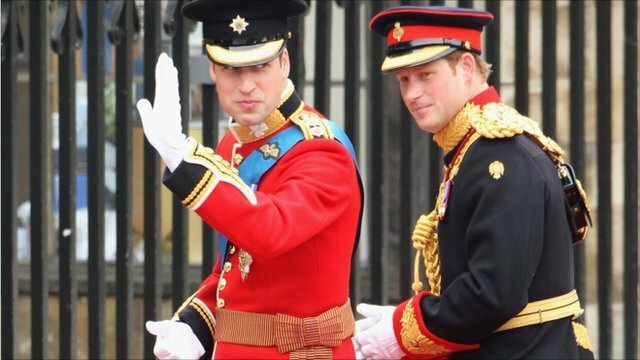 They were cheered by 500,000 well-wishers who gathered outside the palace, as RAF planes flew past in honour of the new royal couple. 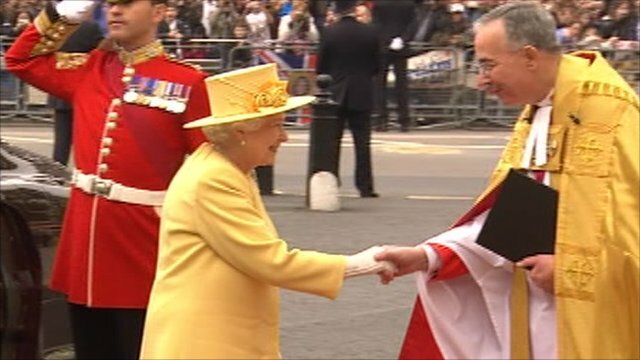 Police estimate a million people lined the procession route from the abbey to the palace. Here's the story of the day as told by the BBC's commentary team led by Huw Edwards.